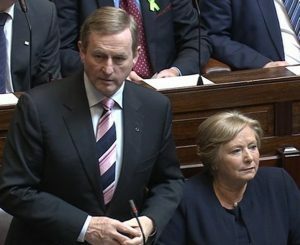 Taoiseach Enda Kenny in Dáil. In the wake of a recent UN Human Rights committee report which called for a change in Ireland’s ban on abortion, Taoiseach Enda Kenny has said he will bring a memo to Cabinet on 21 June to set up a Citizens’ Assembly on abortion. Speaking in the Dáil on Tuesday, Mr Kenny said the first issue to be debated by the citizens’ assembly would be the question of the Eighth Amendment on the right to life of the unborn. The question of what would replace the Eighth Amendment had to be discussed before any referendum was held, he said adding that if a referendum on the Eighth was held now, “it would not be passed”. The Taoiseach added that the findings by the UN Human Rights Committee were not binding. According to Mr Kenny, after the Citizens’ Assembly has made its report, an Oireachtas Committee will examine the issue and finally the Dáil will vote on it. Fine Gael will allow a free vote on the issue. Reacting to the Taoiseach’s proposal, Senator Ronan Mullen said that putting such an issue before a Citizens’ Assembly was a way of pretending that there was some kind of public demand for changes to Ireland’s abortion laws. “Oireachtas Éireann should be the only legitimate Citizens’ Assembly,” he told five hundred people gathered for the second annual Ceiliúradh Cois Life, an annual fundraiser for the Pro Life Campaign last night. The Pro Life campaign has also criticised the Citizens’ Assembly proposal. She said the Assembly was being set up with one purpose only and “that is to pave the way for a referendum to strip the unborn child of its last remaining Constitutional protection”. “Every member of Cabinet knows that the UN Committee that commented on Ireland’s abortion laws last week has a track record in only pushing abortion and has never once taken a stand against the appalling abuses internationally in the abortion industry,” she said. She cited examples like the “barbaric practice” of refusing to give medical assistance to babies born alive after botched abortions which occurs in England and Canada. The Ministers who have been attacking the Eighth Amendment in recent days have totally abandoned the rights of the unborn child and the tens of thousands of lives that have been saved by the Eighth Amendment, added Ms Sherlock. 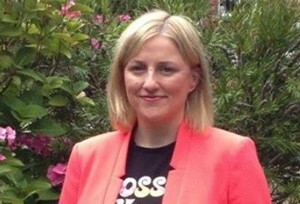 She also disputed that the process announced by the Government would be fair and impartial and said the Government had no mandate from the recent election for setting up a Citizens’ Assembly. The PLC spokeswoman said the UN’s Human Rights Committee had become a “de facto lobby group for abortion”.